The derailleur has a collapsible spring which pushes the 1/8 chain across the sprockets. The spring tension is adjustable. 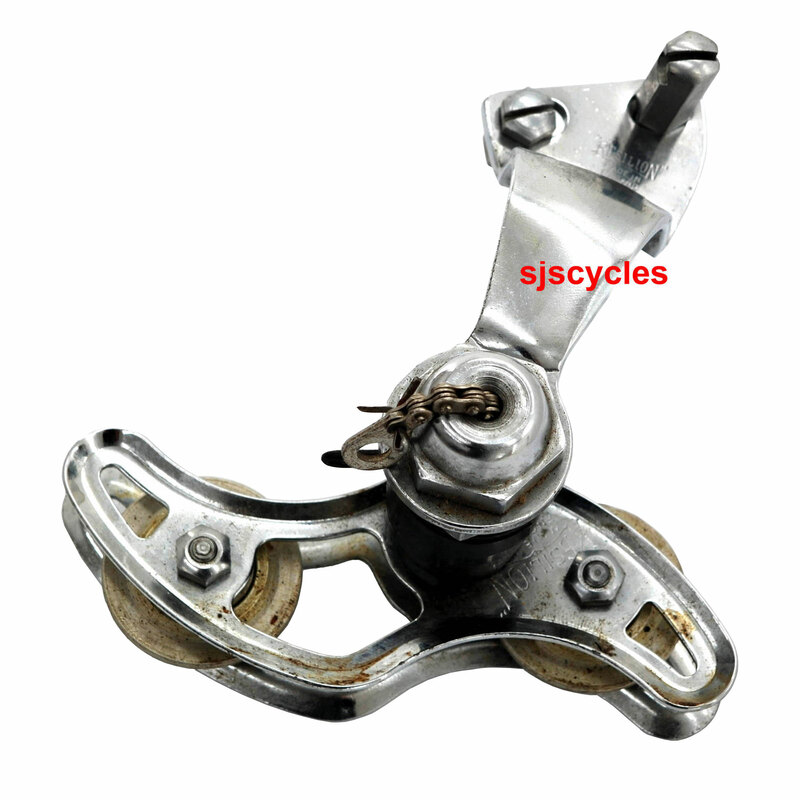 A special 2 bolt frame bracket is required to mount the derailleur onto the frame. The jockey wheels have ball bearings. The condition of the mech is soiled. The outer spring 'cover' is rusty and the whole of the derailleur is dusty and dirty. The jockey wheels will need 'freeing' as the grease inside them has seized up.